Hi friends! I'd love to show you my favorite digraphs activities for first grade and kindergarten that you can use to teach those tricky digraphs. Digraphs can be difficult, especially for English language learners, but they can also be a lot of fun! I really think the key to teaching digraphs is picture support. 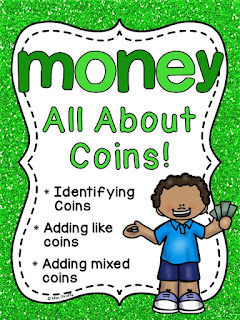 My activities include a ton of visuals to go along with the words to help reading easier. 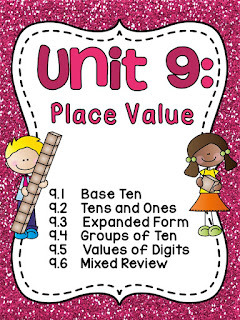 Bottle cap centers are great for this because they are hands on and you can start your small group out at their level since the cards are differentiated for all different levels. For example, this set of cards (above) is missing the vowel sound so kids don't have to actually know the digraphs perfectly to complete them but are getting a lot of practice and exposure to them when they look at the picture and say the word out loud to figure out the missing vowel sound. As they say the word out loud, they are also saying that digraph that is written in front of them. Even though they might not know the digraphs, it's still a center they can complete without knowing the digraph sounds yet because they DO know their vowel sounds. It's also great vowel sounds review so you're practicing a lot of things. For students who typically need more reading practice than others, you can have them put the bottle caps on top of the letters already there, too, to really hammer in the spelling of the focus sound. All of the digraphs cards also come in an "all letters" format where all the letters are already there so they can simply match the letters to spell each word so those are great for the students who really struggle. I love to use this type for blending with the digraph. They would look at the picture of the boy's chin and have to blend CHI to figure out that it ends in N. This is a tad bit more advanced but will really get them starting to read those digraphs. So there are 6 different kinds of each card. :) I just love using recycled bottle caps for centers. You may remember them from my CVC Words Bottle Cap Centers post or how I use them for my Secret Sight Words center. I also have a bundle of different math bottle cap centers. They're so nice to have because not only are bottle caps free but they're a classroom manipulative you can make as many of as you need! They're hands on and fun so kids love them and they're easy to prep - just throw the ones kids need in a baggie with the cards and it's even self-checking. Speaking of Secret Sight Words, I made a bunch of different packs of Secret Word centers for all of the different phonics sounds too and one of the packs is just for digraphs! Kids love these because they're mysterious and they get to figure out the "secret word" - make sure you tell them to keep it a secret so they don't spoil the card for their friends (they actually get a kick out of this). It's a lot of practice for the sound you're learning as well as for beginning sounds. I always like to combine learning skills when I can. For your high kids and fast finishers, I recommend introducing a fun, completely new concept like American Sign Language to your reading centers! The Secret Sign Language Digraphs cards are an easy thing to throw in a baggie for them to do when they're done with center work. They're a lot like the Secret Words but kids are learning the sign language alphabet to do them. Each of my sign language phonics packs comes with a sign language alphabet chart so your kids can do the activity independently. Word building with activities like these are a great way to solidify the spelling of digraphs for students so they see how C and H together say /ch/, S and H together say /sh/, etc. Another great place for word building is in the pocket chart center! I have A LOT of picture word cards for each digraph that I love as pocket chart centers to build words, sort words, etc. I have these for almost every phonics sound in a big bundle so it's a great yearlong literacy station for word work. I also have them in individual sets like just SH words, just TH words, just CH words, and a set of WH QU PH words. So let's say you learn the TH digraph first. Give them the cards where the word ends in TH and have them use the alphabet letter cards (they come with each sounds pack) to spell them out. The words are on the picture cards so they look at them to spell the word. As they look at each picture, say the word, and spell it out, they're really cementing that sound. You can also cut the words off the bottom (I leave space between the picture/word so you can do that easily) so they have to figure out how to spell the word but I don't recommend you start that way. Letting them copy the correct spelling will help them learn the sound and see how the words are spelled. If you did want to make it a challenging center, you could save the little word strips you cut off and put them in a baggie for them to check (and correct) their work after they're done attempting spelling them independently. Once they've spelled the words that END in TH, give them cards where the word STARTS with TH to spell. Then, once they've had practice spelling the words, you can also have them sort WHERE the sound comes in the word. Does the TH happen at the start of the word or at the end of the word? This is a lot of great phonics practice because they'll be saying a lot of TH words out loud to figure out if the TH comes at the beginning or end of the word. For your high kids, add in the TH in the middle cards! As you can see, a lot of differentiation can be done with the pocket chart cards. I showed a lot of different ways I use the picture cards in my Short A activities post if you want to see more ways to use these. One of the ways, I'll just share really quick, is to give kids a stack of the cards and have them stamp them! Kids love stamping with these alphabet stamps and it's an easy center you don't have to do any prep work for. My favorite way to actually teach the phonics sounds, though, is with my phonics no prep packs. You can check out all the sounds I have here. The following pages I'm about to show are from the SH and TH pack, CH pack, and WH pack. One of my favorite activities from the packs are the Circle & Sort pages. You can start kids off with word families like whether the SH word is an -ish word or -ash word for a lot of reading practice. Have kids circle the 2 kinds in a different color then write them below. These are also great to have them read to (or with) a friend when they're done. You could also have them circle & sort whether the word ends with SH or starts with SH. Once they really have it down, or for your high kids, you can also mix in another digraph to sort. For example, sorting whether the words have the SH sound or CH sound. Another activity that puts the digraphs words in sentences are the "I Love to Read" activities. For these, kids read the sentence and match the picture that represents the sentence. I like to also highlight, underline, or circle the words with the focus sound for added practice. As you can see below, they highlighted the words with the TH sound to help them read it better then matched the correct picture. For kids who are REALLY ready for sentences... they will love A-maze-ing Sentences! This is always a favorite because it's a mystery. Have your kids read the digraph words to color their way through the maze to figure out the secret sentence. So fun, right?! This one is from the SH and TH pack so most of the words in the boxes, even the ones they don't use, are going to be SH words for as much practice packed in as possible! Most of your kids will looove these but you may have a few that need to start at the word level before tackling sentences... enter Secret Word worksheets! These are another favorite mystery activity of all kids but they're especially great for your kids who are still at the individual word level to feel smart (because they are!) when they figure them out. For these, kids look at the picture and color it then build it with the letters they cut out (and write it). BUT FOR THE FOURTH BOX... dun dun dunnnn... it's empty! So they use the letters they have left over to unscramble them and figure out the secret word. Once they figure it out, they draw the picture for it. Kids love figuring out what the secret word is! Just like for the secret word cards, make sure you tell them to keep the secret! :) They'll be really excited to tell you though so be prepared for them to whisper it in your ear if you let them! For your kids who are still at the word level, there is a lot of practice for them like straightforward "Write the Word" worksheets. These are great for that explicit practice of words with the sound for everyone to do. I also love them for homework so parents see the types of words you're learning. A fun twist on "Write the Word" though is to put it in a crossword format! Your high kids will eat this up but all the kids love it. They're doing the same amount of work (actually 1 word less with this example!) and the same complexity of work (look at the picture, write the word) but the crossword format makes it look like a game. Score! Any time you can make reading seem like a game, that's a win in my eyes! A really fun game from the no prep packs that does this is Spin a Word! It's great to practice making words with different word families with the focus sound. It's also great for putting at the beginning of words too! Once your kids have learned all the digraphs, let them do the Spin A Word for digraphs review. I like to do A LOT of activities that differentiate between the digraphs. It's really easy to mix them up so the more activities you can do to solidy S and H together says shhh, C and H together says chhh, etc., the better. Kids simply look at the picture, say the word out loud, then circle which sound the word has. They can also color the pictures when they're done like this example if you want them to. Definitely do a lot of practice differentiating between SH and CH. A lot of kids, especially English language learners, struggle with mixing up those 2 sounds. I have a lot of different worksheets like this. Another worksheet format I love for differentiating between the digraph sounds are coloring pictures by their digraph sound. You can also have them physically manipulate the pictures to sort them by sound. Do you explicitly teach WH and QU with your digraphs? I'd love to hear from you! Even though kids seem to pick them up really quickly, I think wh and qu should be taught explicitly in at least a few activities. Once they get them down, you can add them in with the other digraphs for practice. Even though it's "easy," I think it's important to still show them how words that start with the /w/ sound can sometimes start with WH like whale and whiskers. :) I also like to do worksheets specifically for things like that like this where kids circle the correct spelling. It really makes them think and see that sometimes it's W and sometimes it's WH. A lot of my activities have pictures but I think it's important to wean them off of the picture support as the week (or however long you teach each digraph) progresses. Once you feel like your students can soar without the picture support, switch to words-only. An easy place to start is with word sorts. As always, encourage them to say the word out loud as they sort them. You could also have them highlight the focus sound they found within the word before gluing it down if you wanted to. I love word sorts - there are so many different ways to sort words, all of which provide a lot of reading practice. Two examples are that you can have them sort by sound like above or by where the focus sound occurs within the word like below. Another way to sort words is alphabetically! 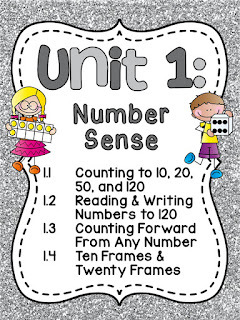 ABC order is an important concept that some kids immediately get while others need to practice it constantly. I include them in all the phonics pack so they can practice it every week while also reading words with the focus skill. So that covers a lot of practice... but what about reading fluently with these words?? To help your students build fluency reading digraphs in context, I recommend targeted reading fluency passages. I wrote Digraphs Reading Fluency Passages that each focus on a specific digraphs skill found in the upper right corner. See how that one incorporates both words that end in SH (cash) and start with SH (shop)? That way, you can differentiate for your students and really hone in on where their skills are lacking. I really love using them because they are so specifically focused. I also try to make the other words (that aren't practicing the focus skill) as decodable as possible so they can flow really easily and only "struggle" on the words with the focus sound. I try to do this with all of my reading passages - I have a ton of them if you click on "Fluency" on the left side of my TpT shop, it'll show you them all! I also include a little bit of comprehension on the bottom of them to throw that in there. Remember I said I love to combine skills? Okay well these add even more... sequencing! 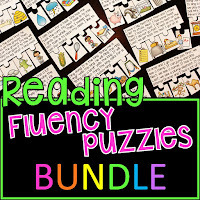 Meet: Digraphs Reading Fluency and Sequencing PUZZLES... yes, puzzles... I love puzzles! For these, kids read the passage then put the 4 puzzle pieces in order to correctly sequence the story. I made them by phonics sound so they are practicing reading words in context with the focus skill AND practicing sequencing and comprehension. 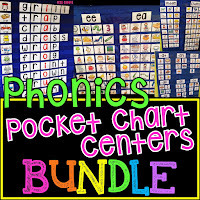 They were such a hit that I made them for pretty much every phonics sound which you can find all the different packs in the big bundle of them if you want them for other sounds too. They come in color like this to make hands on centers but I also have them in black and white so you can use them to create phonics fluency notebooks. 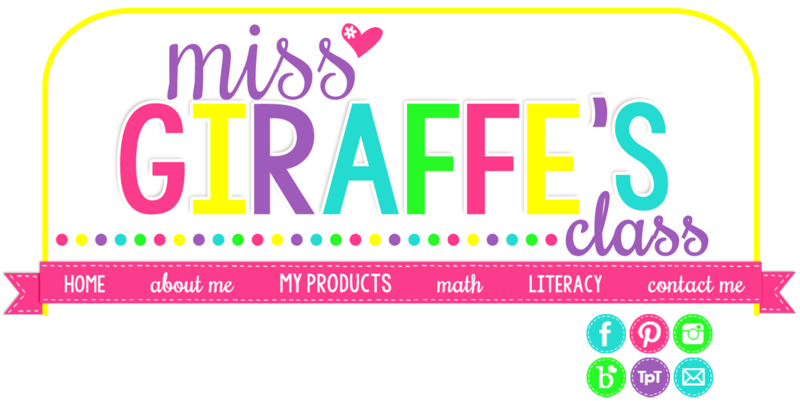 I wrote all about my phonics fluency notebook in this post if you want to read about them! A quick summary of that post is that you print the black and white versions with the mixed up pictures. Make sure you select the versions labeled "Mixed Up Pics" so that the pictures are mixed up. A black and white version with them already in the correct order is also included if you just want them to read and color the pictures in the story or for your really struggling kids) but if you're creating notebooks, you want to select the mixed up ones! Then, have kids highlight words with the focus sound. They read the story and put the events of the story in order. They also write the words with the focus sound from the story under it if you want! It combines a lot of skills in one activity. I like to do the notebook versions first then put all the color hands-on puzzles from the last few months out as a review center so they can do stories they've already done in their notebooks for extra practice. Another hands on activity you can do to practice digraphs are little sorting books. I also have these for a ton of different sounds and word families but these are the CH TH SH and QU WH PH books. Each book comes in 2 levels... you can have kids simply create the book where the words are already sorted under the correct sound. It's also a quick way to make an example book. The bottom book in this picture that sorts QU, WH, and PH words is this kind. What I prefer, though, is to make the sorting book version which the book on top (CH, TH, SH) shows - see how there are dotted lines around the picture cards in that one? That's because you make the book with blank pages THEN sort the picture/word cards under the correct sound by cutting and pasting them. It's great word sorting practice! I only use the pre-made version to make examples or if there's not enough time in the week to make the sorting version. They're awesome little books for them to flip through and read and take home to show their parents. You could also just have them match the picture to the sounds without sorting them by sound. So if you're only learning TH, they'd just match sloth to the sloth picture, bath to the kid taking a bath, etc. You can make it as simple (just word to picture) or as difficult (word, picture, AND 3 different sounds) as you want! Another easy center you can throw out is clip cards. These are the Digraphs Clip Cards but I also have a bundle of them if you like them and want them for all the sounds. Kids simply read the word in the middle and clip the picture it says. I don't know why kids love clothespins so much but hey, whatever works. Okay I think that's enough digraphs fun to show! I actually have a lot more digraphs activities I could show but I appreciate you sticking around this long if you did!! If you want EVERYTHING I showed in this post (and more! 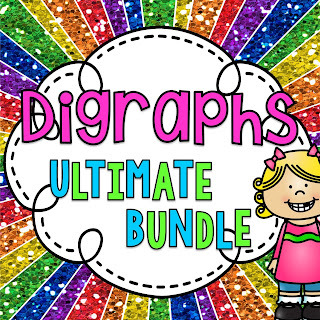 ), ALL of the activities I showed in this post are included in the DIGRAPHS ULTIMATE BUNDLE. I hope you enjoyed this post and seeing some different ways to practice digraphs with your kids! If you like any of these activities but want them with different sounds, I probably have them - just look :) I try to make each activity in every phonics sound so that things are consistent. I'd love if you took a moment to follow me on Pinterest, Facebook, and Instagram for more fun ideas like this. Thanks!